This part is used on many RECARO seats including the RECARO Trend and Sport Trendline, Sport Sportline and Style. They are also used on several factory fitted RECARO seats including those in the Honda Civic Type R (30th Anniversary), Renault Clio Sport, Mitsubishi Evo models 5, 6, 7 and 8, and Vauxhall Vectra GSI. RRP for this exact seat is £792 from Recaro distributors. Seat has never been used as you can see from the photos. Also shown is the FIA sticker showing validity. Recaro base mounted reclining seats. Recaro base mounted bucket seats. 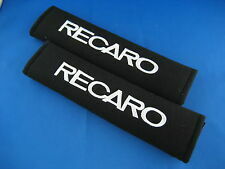 Pricing: Product pricing is for 1 Recaro sliding runner, (fits 1 seat). These are made to work with Recaro Seats. These runners will only fit base mountable bucket seats and reclining sportsseats. RECARO Universal Resistor Airbag Wire for all seating applications. This universal resistor wire kit mimics the presence of a side airbag. It is often used in situations where a seat fitted with a side airbag is being replaced by a seat without an airbag. The Recaro Pole Position base cushion is to replace your current base cushion on any Recaro Pole Position ABE Motorsport seat. Pricing: Product pricing is for a single Recaro Pole Position base cushion only, the seat is not included. Carbon Fibre with ORANGE Leather Carrera GT Style Sports Reclining Seats. Supplied: 2 x sports reclining seats with rails. Normally priced at. These seats are not covered with a cheap film, but use real CARBON FIBRE. The new, updated RECARO Pole Position N.G. (FIA) racing seat provides the best starting position for all beginners and professionals seeking to compete for podium places from the front row. Perlon Black Velour. 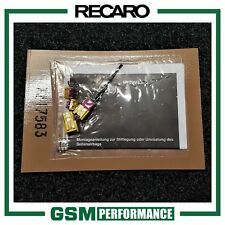 RECARO Universal Resistor Airbag Wire. This universal resistor wire kit mimics the presence of a side air bag. It is often used in situations where a seat fitted with a side air bag is being replaced by a seat without an air bag. X2 RECARO HEADREST CUSHIONS ONLY. The Recaro Steel and alloy side mounts are made specifically to fit each model of Recaro sport and Motorsport seat. These will fit the Recaro Furious, Apex, Profi SPG, Profi SPA, Pro Racer SPG, and various other models. This allows you to angle the seat on the side mounts to the best driving position without losing the ability to still slide your Recaro seat backward and forwards. 1Recaro Pole Position ABE. The PCI Racing S1 sliders are one of the strongest sliders available. 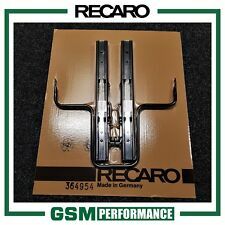 These are official RECARO slide rails, mainly suitable for the fitting of RECARO race shells and other performance bucket seats. They are universal rails that will bolt onto the seat's sidemounts. RECARO Double Locking Slide Rails. 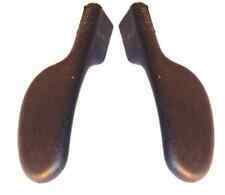 Remove the two acorn nuts and two bolts holding the seat brackets to the floor and take them out of the car. Remove the 4 allen bolts holding the factory seat brackets on. Simply install the new lower brackets back on the seat rails. These genuine RECARO cushions can be fitted to your shells to make them look as new again. Suitable for RECARO Pole Position shells designated with part numbers beginning 070.98. So from November the 1st 2014 you will now have this active on checkout for all your Motorsport needs. The Recaro Sportster Reclining sports seat is Recaro's latest creation and really is on the edge of cutting design and pure quality. Recaro being world leaders always know what is best and they have not failed to impress with the Recaro Sportster.The Recaro Sportster CS. The new, updated RECARO Pole Position N.G. (FIA) racing seat provides the best starting position for all beginners and professionals seeking to compete for podium places from the front row. FIA approval 8855-1999 only valid in conjunction with the specified RECARO sidemount. REMOVED FROM A 2007 FORD FOCUS ST..PAIR OF RED AND GREY RECARO FRONT SEATS WITH SUBFRAMES..NEED A CLEAN AND COUPLE SMALL CIG BURNS BUT CHEAP....WEVE SOLD LOADA OF THESE BEFORE TO GUYS WITH TRANSIT CONNECT VANS TO MOD TO FIT BUT WEVE NO IDEA OURSELVES WHATS INVOLVED..BUYER TO COME TO ML4 1EB AND COLLECT SO THEY CAN BE VIEWED. The overall size of the headrest body is 300 x 110 x 160mm (W x D x H). These are currently fitted to the modern version of the RECARO LX and LS style seats, previously known as the N-Joy, and presently known as the Specialist and Expert. Here we have for sale is a pair of Recaro SPG seats finished in a lovely perlon velour red. RECARO Profi SPG. The XL variant of the seat is not only wider and higher, but also has larger belt slots. 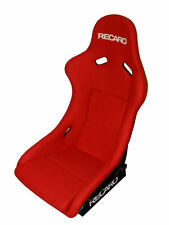 RECARO POLE POSITION FIA MOTORSPORT BUCKET SEAT. Weight: 7.0kg per Recaro Pole Position (FIA) seat. Pricing: Product pricing is for a single Recaro Pole Position Bucket seat. 2022 DATING. This seat has 5 harness slots to allow for a full 5 or 6 point harness and the cushion supports are washable to help increase the lifespan of the seat. This is mainly caused by excessive stretching of the seat webbing. This product will fit to the underside of many of the factory fitted RECARO seats including Ford RS seats, VW Golf, Honda Civic/Integra Type R and many more. Pair of Recaro Leather front seats from a Mondeo ST 200 which were bought for a Mk1 Caddy project which has been shelved. I will try to find one that fits. Recaro CS Sportster Airbag. I have put the seats in my car but so not require the airbags, so can be good if you have seats out of a crashed vehicle and you want the airbag. Perlon Black Velour. Perlon Red Velour. Perlon Blue Velour. RECARO Profi SPG. The XL variant of the seat is not only wider and higher, but also has larger belt slots. RECARO Profi SPG Specifications. 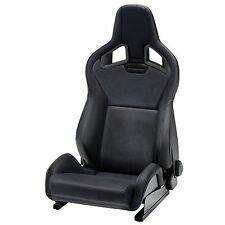 VW Golf GTi Recaro MK4 car seats(1999-2004). Recaro Golf sport car seats. 2 x Front seats rear seats. Complete set for sale. THE SEATS HAVE BEEN REMOVED FROM A PORSCHE BOXSTER THAT WE ARE BREAKING FOR PARTS. THE SEATS HAVE GENERAL WEAR AND TEAR ON THEM. RECARO Backrest Recline Handwheel - Sport Trendline / AM19. This part is used on many RECARO seats including the RECARO Trend and Sport Trendline and Sport Sportline. They are also used on several factory fitted RECARO seats.